WHY BUY THE 8-COUNT POUCH? 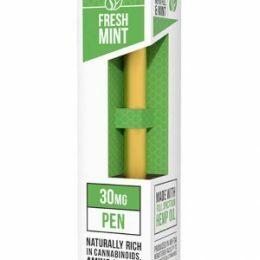 8 capsules x 25mg of CBD per capsule = 200 mg of CBD per pouch. A travel-friendly supply at a low price. THIS PRODUCT IS PERFECT FOR YOU IF: You want the positive benefits of CBD with the convenience of an easy-to-take capsule – and you like buying a smaller number of capsules for travel, price, or any other reason. WHY CBDFX? 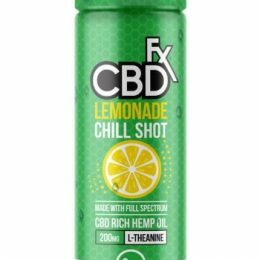 CBDfx CBD pills are the best CBD capsules on the market. 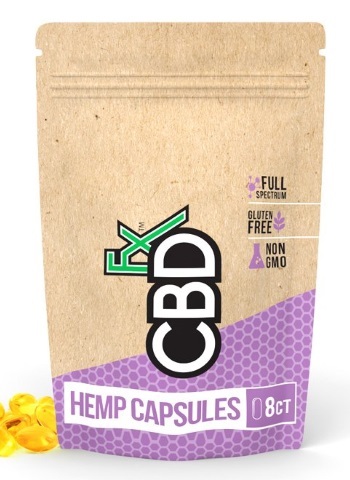 When you buy CBD capsules from CBDfx, you get full spectrum CBD, which provides all the healing compounds that naturally exist within the cannabis plant (unlike some other cheap CBD pills, which only feature some of the beneficial elements). This is all-natural CBD that comes from plants grown organically at Europe’s best farms. Being organic means no harmful ingredients and no chemicals. CBDfx capsules provide nutrients to nourish the body (including key fatty acids, amino acids, and vitamins). HOW DO I USE IT? Follow label directions. Take 1-2 CBD capsules daily. (Many people start with one a day and adjust accordingly.) Some like to take it with food and some like to take it before bed. See what works best for you. ANY SIDE EFFECTS? This is an all-natural, perfectly legal product, and you can expect zero to minimal side effects, including no psychoactive effects. Featuring glycerin and silicon dioxide (two highly digestible ingredients that come from natural sources), CBDfx capsules are a gentle formula that is easy on your stomach. I’ve never tried CBD. What can I expect? I know there are lots of ways to get the benefit of CBD. Why should I try these CBD capsules? Sara also decided to buy CBD capsules and as a result, has discovered some key advantages. “I found great relief for my joint pain,” she says. “The CBD pills are longer lasting than oil and easier to transport than oil. I will be ordering more soon.” Others have found that CBDfx capsules are a perfect replacement for drugs that bring negative side effects. On the day of a recent surgery, Lanell H. was asked to stop taking all her anti-inflammatory pain medications. CBD pills proved invaluable. “Since I could not eat anything that day, I could not take any pain medication,” she says. “I was allowed to drink a small cup of water and a few pills. I took my CBD capsules, and that helped me make it through until after the surgery! I have found the 25mg strength to be most effective for me. A doctor actually suggested to me to try CBD! It is now part of my daily pain management plan! Thank you CBDfx!!! 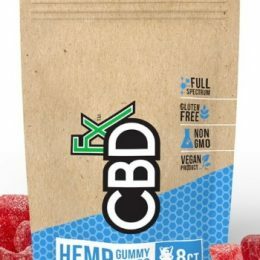 Will these CBD pills help with my anxiety? Will CBDfx CBD capsules help me sleep better? I’ve got back pain. How much can CBD capsules help? 8 capsules x 25mg of CBD per capsule = 200mg of CBD per pouch. A convenient amount for travel or other short-term purposes.